Read this also, Best Video Editing Software for Windows for Making Memories More Beautifully. Sometimes it’s very important to shoot the video as lot’s of time we can’t express by words or Notes. We need to show steps and for this reason, Video is very much important. Today we are Going to Show you some best Video display Recorder for Windows. 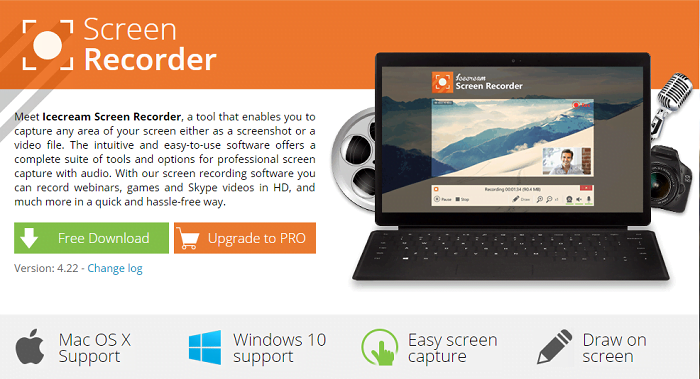 Screen Recorder for Windows Are small tools or you can say software. That allows you to record your screen and then you can save it. Or share it directly using the software. There are large numbers of Free and Paid Software available to Record the screen. Some of this Software also allow you to take screenshots of your windows screen. Ezvid is one of the Best Tool to Capture the screen and Record your screen. 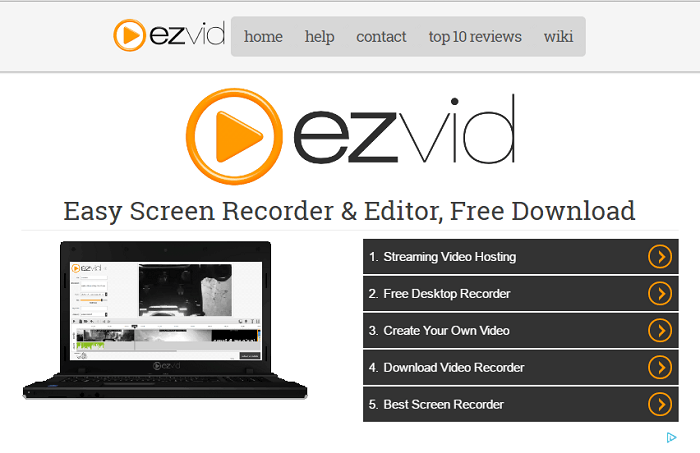 The Ezvid is a free tool that allows you to easily record your windows screen. And it also has features to share your Video Directly to Youtube. It’s Coming with some excellent features that will bring your attentions to make it default tool to capture your videos. The Main Features of Ezvid is that you don’t have to Find any other Video editor. You have complete access to edit your Recorded video and you can use it as you want. You can edit lots of things using this tool. It also has the Voice recording features, screen drawing, and speed control options. Icecream Screen Recorder is another Good Option to Capture Windows Screen. It allows you to capture any screen by screenshots or Video. It’s one of the easiest tools to use to Record Windows Screen. And you also have options to take the screenshots for any screen. The Icecream Screen Recorder offering some excellent features. Like, it has the Voice Recording options so you can record your voice at the time of recording video. So you can easily create the Guide types of Videos using this tool. Icecream Screen Recorder is a free tool that is available for the Windows Computer to Record the Screen. And to take the screenshots in just a few clicks. If you are Mac users then also it has the option of Mac version. So you can download it for Mac also. You can Zoom in and Out While Recording the Video. if you want to quickly share links to other users. The Icecream Screen Recorder offering some excellent features. Like, you can add your own logo for the watermark on captured screen. You can adjust the Video Quality. You can Zoom in and Out While Recording the Video. if you want to quickly share. Jing is Tool that is Offering by the TechSmith to capture the screen and record videos. If you want to shoot small Video then you can use Jing. The tool allows you to easy Options to Record Videos on Windows. And then you can easily share it with other users. This is very tiny tools that are offering some excellent features to take the screenshots. You can take a screenshot of any part of the screen and you also have options to Record the Video. Once Screenshot or Recording Done then you have easy Options to Share to other users easily. Free Screen Video Recorder is Another Free tools that allow you to Record your Video Screen. You can take the screenshot easily with this tool. It allows you to record your Video easily. No Doubt tools is very tiny but it has some really good features that will offer numbers of features. The Free Screen Video Recorder offers some really good Features. You can Take Screen Shots, Record Videos with Voice so you can easily create any Guide Tutorial. Capture multiple windows and objects including multi-level menus. You can Resize, Highlight your cursor path for clarity crop and rotate output images. You can Record your screen video to MP4 files. TinyTake is Another Good option to Record Windows Screen. And it also offers features to take the Screenshots on Windows. It’s also offering Mac Version so if you are a Mac users then you can Download it for the Mac. The TinyTake is Free and it also has the paid version which are offering Some Advance Features. The TinyTake has some excellent features. Like you can Take Screenshots of any area and you can Record screen Up to 120 Minits for free. Copy to clipboard or save it locally. You can Store screenshots and videos in the cloud. You can Share the link to the stored screenshot and video, Zoom in / zoom out. It’s Proxy server friendly screen capture. SmartPixel is Another Popular Screen Recording Software that is available for Windows. It’s already Downloaded by millions of people and according to Developer. It’s one of the advanced tools that allows you to Record Video Screen. 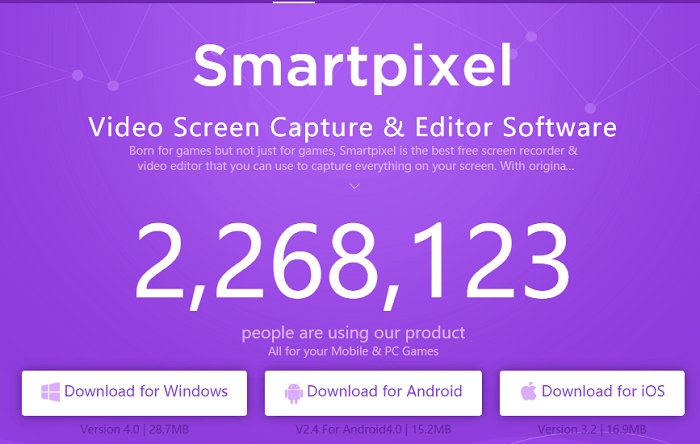 The SmartPixel is one of the Popular tools amounts the Gamers. If you Like to play games and wants to share video. Or wants to share your scores with other users then. you can use SmartPixel to Record the Video and then you can share it with other users easily. ScreenFlow is One of the Good tools for record screen. If you are Looking for Paid Screen Recorder For Windows. It’s offering Free trial version and after that, you need to pay $99 to Use it. The Tool is Offering Some excellent Features and you can record anything on your Windows Screen. Then you have beautiful editor options so you can edit your Recorded video. Once Editing Done then you can share your Videos with other users on Youtube, Vimeo, Google Drive, Dropbox, and Facebook. Screencast-O-Matic is Another Useful Tool For screen recorder for Windows. It’s offering Numbers of Features and you can record your screen for free. 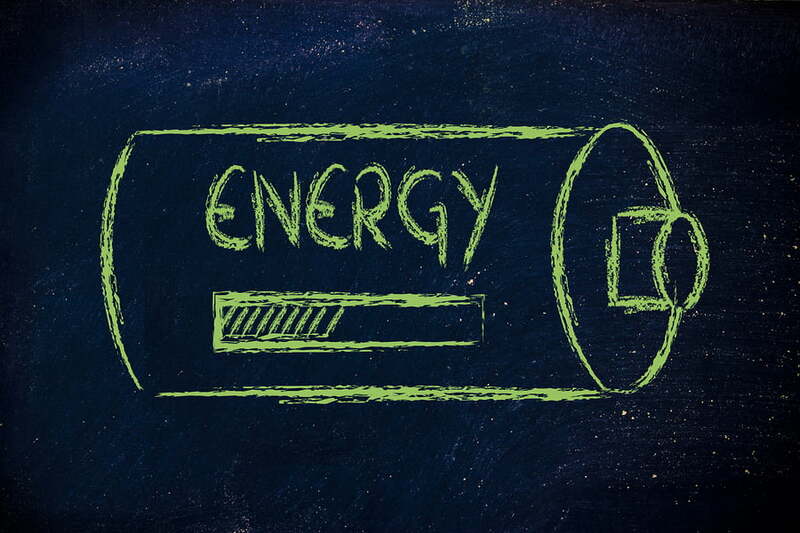 With some limitation and if you required complete access to all the Features then you can Upgrade to Paid version. You need to Pay $15 for One year. The Free Version of Tool has Some Limitations like you can record your Video up to 15-mints. You can do screen and Webcam Recording and You have options to Publish Directly to Youtube. You can save video files to local storage. On Other side paid version has some excellent features. Like you don’t have any recording limitations and no watermark and lots of useful features. 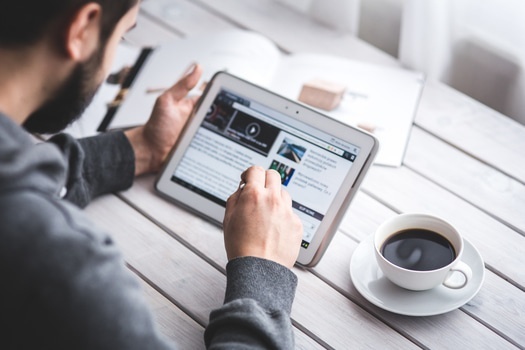 6 Best and Easy Video Editing Software to Download Free. Fastest DVD Video Converter Software Features Review. How to Download Movie Video from JioCinema or TV Shows from JioTV. Screen Display Recorder For Windows Are useful and everyone can use it. We have provided some best screen recorder for Windows. Now you can select any of the above and tests. And if it works for you then you can start using it. Don’t forget to share this Guide with other users.